Staying on track, the book is mainly about the characters and the journeys they take as they prepare for the end. Sienna is trying to come to terms with how her illness affects her everyday life, how much she is like her dead mother, her father's new romance with Denny, and falling in love with Owen out of nowhere. (Really, it's out of nowhere. Yes, I'll grant them that the world is ending, but two or three days is a bit ridiculous.) She is probably my favorite character in Tumble & Fall because of how self-aware she is. My heart breaks for her because of her illness and that she had to carry so much weight. Zan is a bit less likeable for me. She finds a girl's phone number in her dead boyfriend Leo's book that he was reading when he died, and she decides she is going to track the girl down. Zan also drags along Leo's best friend, Nick, for the ride. While her determination to find Vanessa is applaudable, I was still shaking my head at her. If her love and trust of Leo was so complete, she should have left things alone. However, that wouldn't have made for a very good story. Finally there's Caden who is kidnapped by his long-lost father within the first few pages of the book. His dad is what you would get if you combine Richie Rich with a mob boss. Caden's journey consists of him learning family secrets and deciding what family really means to him. In the end, Tumble & Fall is just a book about family, finding yourself, and going through the stages of grieving. I enjoyed it a lot since it's made pretty clear in the beginning of the story that this isn't about people getting rescued - it's about going home and saying goodbye. If you are able to connect to any of the characters in the book, I can almost guarantee that you will tear up. I know I was quietly sobbing in the breakroom at work. Beautiful cover! This looks really good! I'm glad the secondary characters are as complex as the main characters. I love dual narratives, so I think I would like the format of this one, even though there are three instead of two. Great review! Loved the cover of this book, beautiful. And the story sounds really interesting. Already on my TBR list. The cover is awesome, isn't it?! 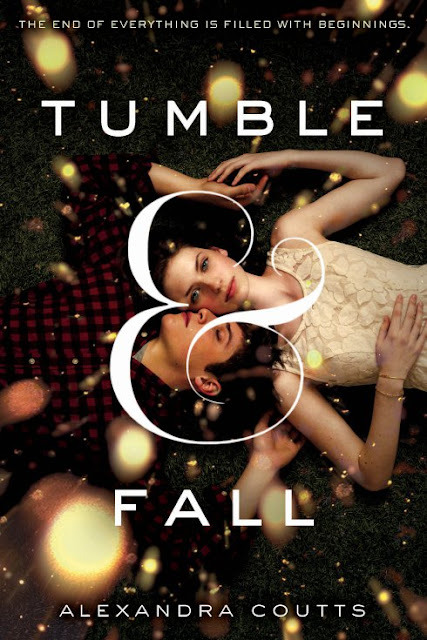 I really hope you guys enjoy Tumble & Fall as much as I did, and be sure to have your Kleenexes handy!